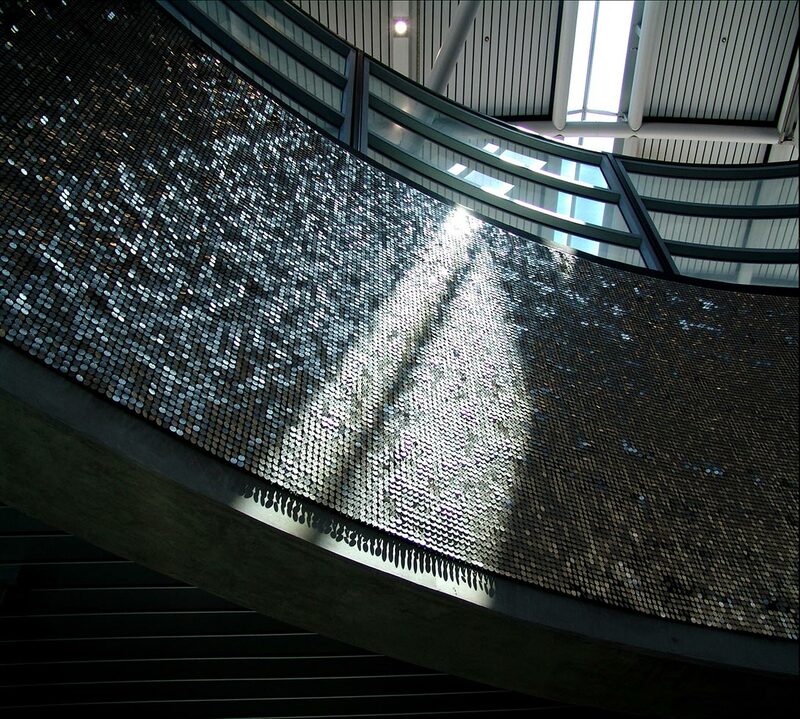 This artwork consists of 200,000 mirrored disks which respond to the air currents generated by passing trains and the natural wind passing through the BART Station at the San Francisco Airport. 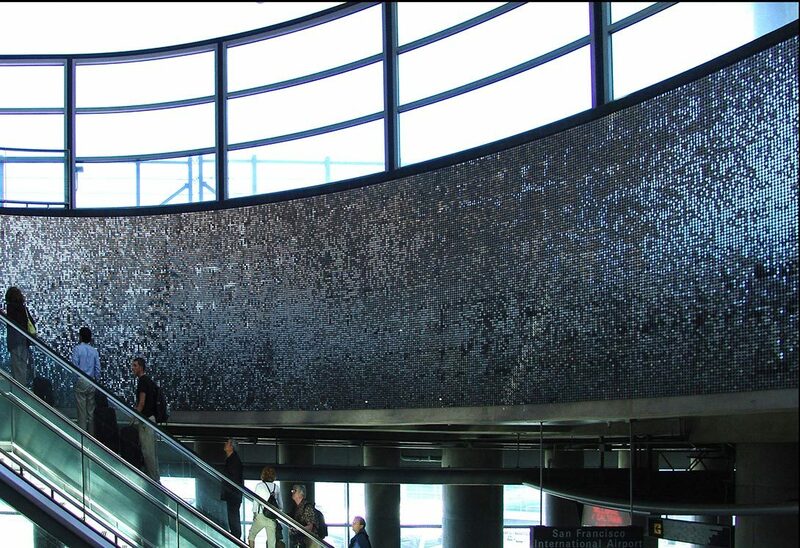 The stainless steel disks encircle a 55′ diameter by 12′ deep hole in the main level of the station, through which escalators and stairs run. The myriad of tiny mirrors reflect colors from people’s clothing as they pass through the portal, creating an ever-changing mosaic of light, sculpted by the wind. This project was a collaboration with the architectural firm, MBT and involved extensive coordination with BART and the general contractor for the airport. 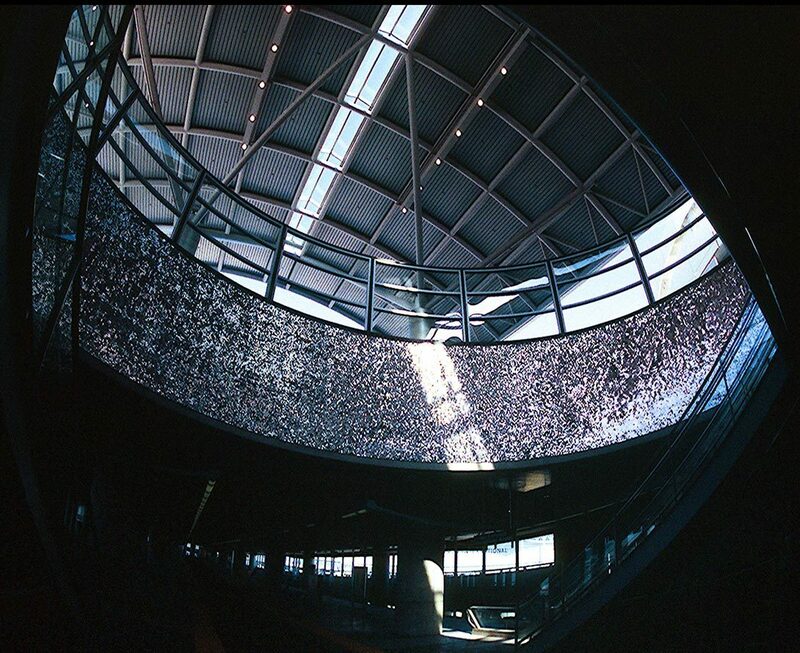 Funded by the San Francisco Arts Commission, the artwork was completed in 2003.